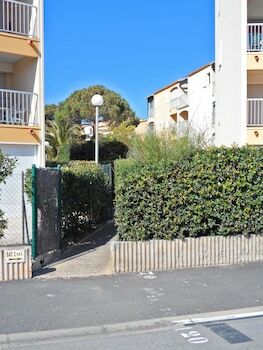 When you stay at Studio Terra Cotta pres de la plage in Sainte-Maxime, you'll be next to a golf course and close to Sainte-Maxime Beach and Saint Tropez Citadel. Free self parking is available onsite. With a stay at Hôtel California in Vichy, you'll be within a 10-minute walk of Grand Etablissement Thermal and Hall des Sources. The front desk is staffed during limited hours. With a stay at Breteuil - Appart au Vieux-Port, you'll be centrally located in Marseille, within a 10-minute drive of Notre-Dame de la Garde and La Vieille Charite.